Chucklefish’s new turn-based tactics game Wargroove is a simple-to-learn yet deep take on the genre — it’s also overwhelmingly cute. From skeletons to vampires, each unit in the game is a pixelated sweetheart, and the cutest of all are the dogs. These little furballs of mayhem are ideal for scouting out terrain and pouncing on stragglers. Even when you’re on the receiving end of their jaws, you’re still likely to be in awe of their fluffiness. And most importantly, they can never die. 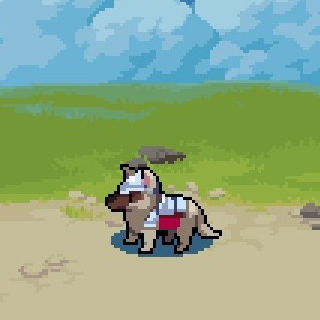 While the game’s four factions differentiate themselves with their commanders, to my mind, the true test of each army is how cute their dogs are. And so, I have ranked the game’s warring forces on the only scale that matters. While “Dreadhound” is a name that evokes terror in all who face it, these pups are more delightful than devilish. These undead doggies may be tools in a grand plan to conquer the Cherrystone Kingdom, but they still love to wag their tails as they maul Felheim’s enemies. Besides, even mischievous dogs can be adorable. These pups cause trouble and remain cute doing it, even if trouble in their case means bodily harm. Their bony rib cages can even be used to play fetch with them! However, those bones do hurt their cuteness factor. While their skulls may look like little hats, their lack of fur can be intimidating. Even worse, their bones and armor prevent any attempts to properly pet them. The risk of them biting your hand isn’t worth it if you can’t even scritch them. Besides, while it may be fun to see them gnaw on their own rib, it’s less so seeing them fight over the bones of your fallen allies. 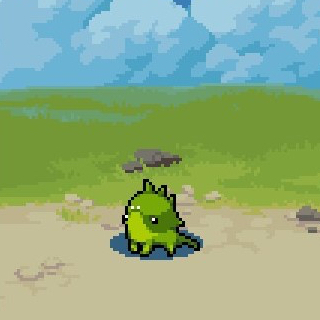 Yes, Battlepups are cute — even Wargroove’s official website says so — but they are also boring. These doggies display a standard form of cuteness, relying on fluffiness and tail wagging to cement their spot. Their armour does give them protection, but it also limits the amount of places in which they can be scritched. Even though the steel plates create a cute outfit, scritches are much more important than style. 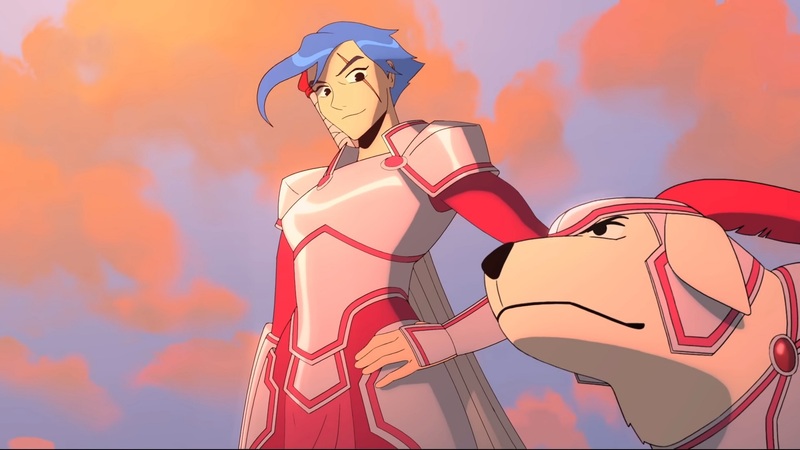 Luckily, Cherrystone Kingdom does have a redeeming dog — Caesar — who is such a good boy that he has become a commander, leading armies with his woofs. His canine commands inspire his soldiers, pushing units to continue fighting even when their turn is over. And he uses his inspirational howls for good, fighting outlaws and enemies of the Cherrystone Kingdom. He is even a loyal pet, guarding Queen Mercia throughout her adventures. His dignity and power is an inspiration to dogs everywhere. Heavensong Empire’s dog, the Shiba Inu, is the master of scritches. Already a cute dog in real life, this pixelated pup exposes nearly its whole body to pets and belly rubs. Their only protection is a yellow bandana, serving as their collar. Yet even with their lack of armor they can fight like any other dog. This little band of puppies may be fluffy, but they will still feast on your enemies for dinner. That bravery bolsters their ranking as true good boys and girls. However, I have to subtract points for unoriginality. 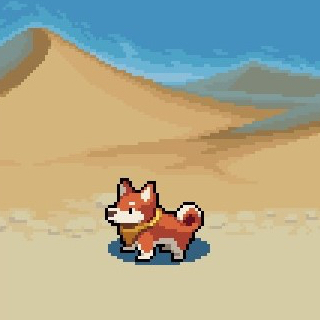 The Shiba Inu are — admittedly lovely — real dogs, and importing them unchanged into the world of Wargroove feels a little hollow, especially when compared to the next and last entry on the list. 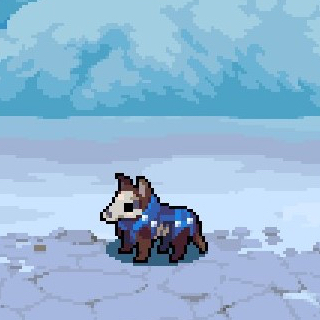 Originally hailing from another Chucklefish game, Starbound, the Quagmutt may not seem like the obvious choice for cutest puppy, but this dog shows how charming an unconventional appearance can be. Looking like a spiny blend of a pug and a blobfish, the Quagmutt is nothing like any of the other dog units in the game. Calling it a dog might even be a stretch, but something about the combination just works, producing a unit that not only fits the quirkiness of its faction, but is unexpectedly adorable. Additionally, the Quagmutts are the only pups that are fully open to petting, being completely unarmoured — though watch out for those spines. Most importantly, these dogs show intense loyalty, following their commander even when faced with skirmishes within their own faction. They may not be the prettiest dogs, but their uniqueness and loyalty make them the uncontested cutest warriors.